Having a senior for the first time, I was a little overwhelmed with the thought of senior pictures and all that was involved. David was excellent and explained things so thoroughly to us that I felt at ease. He was always accommodating in regard to scheduling times for photos. David provided great advice when it came to choosing outfits, and his choice of backgrounds/settings/lighting was superior. Our sales session was so well organized, and we loved seeing all Elise’s shots together to choose our favorites. Thank you David for your expertise and talent. We have photos that we will cherish forever. We are so glad we chose David to photograph our son for his senior pictures. The experience was flawless from start to finish. Originally Dillon was apprehensive about being in front of the camera for a Flour Mill Session (1.5 hours), but David made it relaxing and fun so the time just flew by. He was able to joke around with Dillon and capture his true personality in each shot. David’s attention to detail, level of professionalism and artistic talent is second to none. I would highly recommend David Quisenberry Photography to others and look forward to working with him on future projects. David took this sweet, shy girl and made her feel comfortable in her own skin. As a mom – this is everything. He let her just breathe and simply be herself. She dislikes attention, so this was her stepping out of her comfort zone. This photographer is phenomenal & managed to capture Brittany’s personality in every single photo. Thank you!!! My heart is full. David has photographed both of my daughters. My older daughter is quiet and more serious in nature, and he got her to relax and really enjoy herself during her senior photo shoot. She used his makeup artist for hair and makeup which was so fun and made the session really special. When it was time for my younger daughter’s senior photos, we knew we would use David again after the positive experience and beautiful photos we had previously. David has the ability to really focus on obscure details that I would not have noticed during the session which make for flawless photographs while really engaging each of my kiddos. His attention to detail is phenomenal and his eye for the artistic is outstanding. He has the knack of engaging different personality types, as my kids are opposites, and really getting unusual and artistic photos that show the true personality of each kid while they have a blast! David was very helpful when he walked us through the different ways we could display our favorite poses. He made the process simple which was much appreciated, especially with our first senior! We were absolutely thrilled to find David to shoot Bethany’s senior pictures! Being new to the area we were hoping for the best when it came time for her pictures. The experience was more than we could have ever expected. David was amazing with Beth! He helped her pick the best outfits for her pictures and made her feel at ease every step of the way! He took his time making sure each picture was just right whether we were outside or inside! Bethany enjoyed every minute of her photo shoot! And the sales session was a wonderful emotional experience as were able to see all her pictures on the big screen set to music! David really knew how to bring Bethany’s beauty out on print! Simply amazing experience! Thank you so much! We wanted to capture the fact that our twin seniors, Noah and Nathan, are both very different individuals, but also wanted to celebrate this achievement with a memory of them together. David did such a wonderful job of doing just that! He captured each of our sons’ individual personalities and passions while providing us with several photos commemorating our memories of all the years they have spent going through this adventure together. Thank you David for an outstanding job! Three years ago I had twins graduating from high school. After a recommendation from friends, we decided to have David Quisenberry photograph the girls. Wow! They were amazing. We were all very impressed. Our beautiful girls looked awesome. When it was time for senior pictures for our youngest, we did not hesitate on the photographer. In fact, David was our first and only choice and we are very pleased when he invited our daughter to participate in his studio Senior Model program. Again, he did an amazing job!! His pictures brought out the beauty in all three of our girls. We love looking at our albums and wall portraits now that the girls have gone to college. We are so thrilled to have found an artist who captures Daniele’s personality so perfectly in a picture. The entire experience from the indoor and outdoor shoots, to our sales session exceeded our expectations even though we had already heard positive things about David’s work. Not only did he bring out the best in Daniele, he also made sure she had fun! Actually, he made all of us feel comfortable throughout the entire process. I was worried about choosing our package, but he helped us select what was best for our family instead of a premade grouping of products that didnt match our needs. The wall art and prints we now have will provide us with a lifetime of memories. Graduation is a significant milestone in your child’s life and senior pictures are important to capture that moment in time. 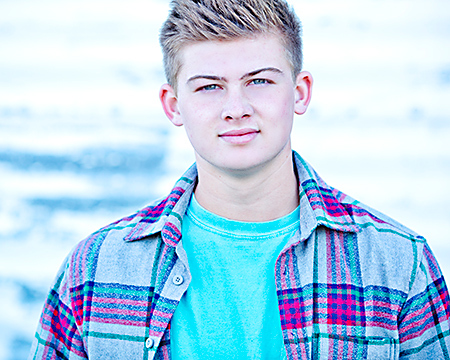 I looked at dozens of photographer websites for my son’s senior pictures and struggled to find one with good male pictures. I then found David’s website and loved his work. Our session with David did not disappoint. He selected the right clothes for each background and quickly made Evans comfortable. Probably the best statement of David’s work comes from my husband who shared that he had been dreading the session but that I selected the perfect photographer and the pictures of our son are the best he has ever taken. David’s “no pressure” sales also makes the process even better. I would highly recommend David for anyone looking for a quality photographer who takes the time to the best Senior portraits of your child. After pouring over Senior portraits online, my son chose David because he had several male portrait examples and not all female. He is quite shy and was worried about looking "natural" and not too posed. David did such an amazing job making our son feel comfortable and confident. He ended up having a really good time during the photo shoot and were pleased by all the great shots that our son loved as well! It was such a pleasant and fun experience for our son and we got some amazing keepsakes to celebrate our soon-to-be graduate! I so enjoyed getting to experience this with Delaney. Happy tears during the slideshow when I saw how you captured her beauty and personality so well. And yes, more happy tears when we picked up the album we will treasure forever. But what I will always remember the most is when Delaney turned to me and said “Thank you Mom. I know that sometimes I’m hard on you but I really appreciate everything that you and Dad do for me.” I will remember that every time I enjoy looking at her senior portraits. Through the entire process, the way you made us feel made the experience so special. It is obvious you love what you do! Our pictues are FOREVER and capture this special time in our daughter’s life so perfectly. My son Barret is very quiet and reserved. I am so pleased how you were able to bring out his personality. You were down to Earth, inviting and funny which made Barret open up and you truly captured the real “Barret”. I love your studio at the Flour Mill which provided a wonderful setting to capture some very unique pictures and backgrounds that I know we would not have gotten anywhere else. To you and my best friend who referred me, all I can say is Thank You, Thank You, Thank You. I love, love, love Barret’s pictures!!! 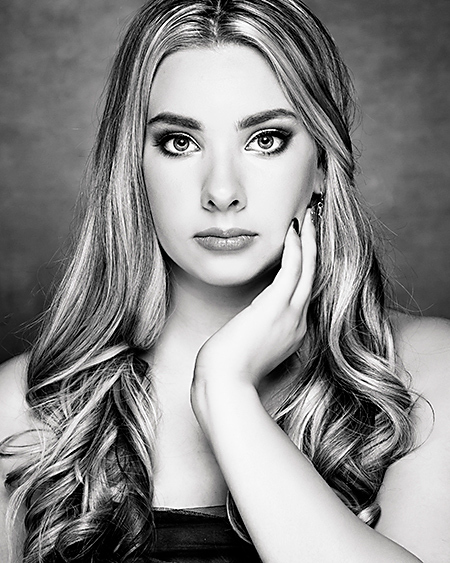 Thank you, David Quisenberry, for making Kate's senior portraits so special! Being so shy and introverted, I was a little worried about how Kate would respond to all the attention and being in front of, instead of behind, a camera. You and your makeup artist, Lisa, played to Kate's strengths and pulled her right out of her shell. From helping us with wardrobe selection, to tasteful makeup, to the photography sessions, both indoors and out. You made the experience enjoyable and fun. As a result, I have photographs of my beautiful daughter that I will love for a lifetime. Thank you so much for capturing the spirit of my Annie! Many photographers are able to capture the beauty that’s on the outside, but it takes a truly gift artist to capture the beauty that radiates from the inside. You have proven once again that you are one of those rare individuals. I feel so blessed that you are right here in McKinney and I cannot thank you enough for all you do for our kids, our families and our community. I will treasure both of my daughter’s as keepsakes forever. You certainly found your calling! I remember 3 years ago when I first met you. A friend had shown me some beautiful senior photos of her daughter and I knew I wanted you capture the beauty of my senior, Madysen, the same way. I remember being excited when you showed us some images on the back of the camera, but then being blown away at the sales session. We had so many good images to choose from that I was thankful you helped us choose our favorites to keep and share in a beautiful coffe table album. Fast forward 3 years and there was no question who would capture the memories of our youngest, Kennedy. Again, working with you was great. We had fun with Kennedy getting the full model treatment from your stylist and then the photo session at your unique Flour Mill studio plus outdoors. When we had our sales session to view the photos of Kennedy, all I could say was "Oh my gosh, how you captured her beauty, her style and her personality... just like you did with Madysen. We now have 2 beautiful albums, no, honestly pieces of art displayed on our coffee table. Its really cool when people come over, look through them and comment on how beautiful my girls are. I enjoy them so much now and wait for the day I will pass these beautiful heirlooms down to my girls and to future generations. I have to admit I was a little nervous about the whole process being complicated since we just used a family friend to take some pictures of my son when he was a senior. It turned out to be a very easy and organized process. I really apprecited the way everything was explained in detai and you guided us through each step, making sure we were comfortable with everything. I appreciate how you worked to make Kristen feel comfortable and taking the time to make sure you captured her personality, not just take some senior pictures. I will be highly recommending you to my friends and co-workers! !